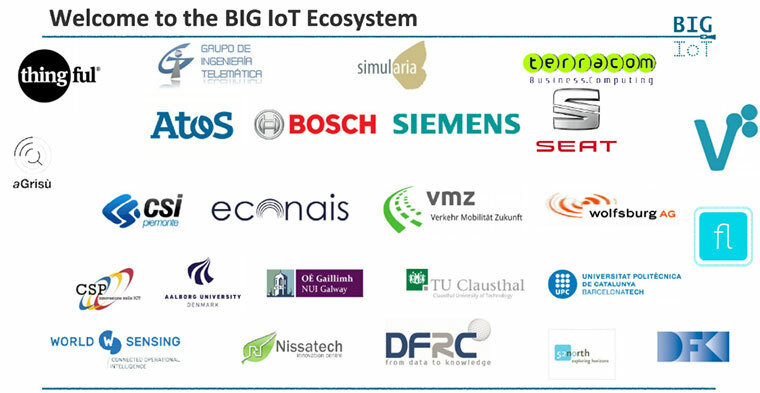 BIG IoT is a European project, aiming to promote interoperability on IoT platforms and to enable cross-standard, cross-platform, and cross-domain IoT services and applications. The goal, is to remove technological market entry barriers of service and application providers on the Internet of Things domain by exploiting the capabilities of smart object platforms through establishing syntactic and semantic interoperability. In regard with the 2nd Open Call, the main objective is to grow the BIG IoT ecosystem by integrating new IoT platforms and data sources from the BIG IoT domains (i.e. smart mobility and environmental monitoring) to the BIG IoT marketplace and by exploiting existing and new offerings through the development of innovative applications and services. Within the project, Terracom’s SpotyPal is to provide additional data sources on traffic condition in Piedmont region, Italy. The results of the study will help gain valuable insights regarding the traffic conditions in Turin. In that it shall make it possible to identify key areas in the city where traffic flow is troublesome, based on days, hour, and weather conditions. By recognizing areas that need improvement to best address citizen’s needs, we shall make this information available to the respective authorities so they can take action about it. Making our platform interoperable with BIG IoT broadens our target markets and offers access to our resources to customers from different sectors. Also, joining BIG IoT is a unique opportunity to get acquainted with new use cases and platforms, which might in the end be translated into new products. The new services, based on the interaction between different vertical IoT platforms, will add value to the involved parties and boost their competitiveness. 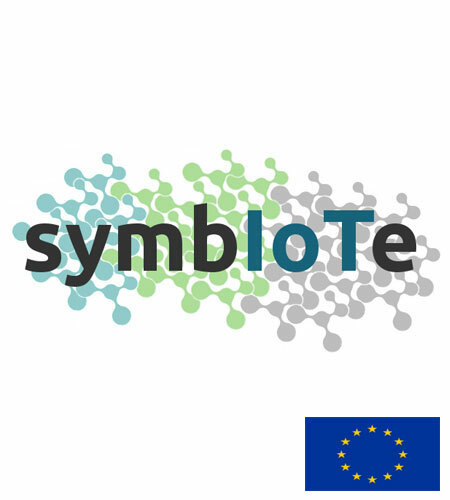 SymbIoTe is a project aiming to design and create an interoperable mediation framework, enabling the discovery and sharing of devices/services of the connected IoT platforms for the rapid development of cross-platform IoT applications. The purpose is the expansion of the symbIoTe ecosystem by connecting more IoT platforms and making them Level 1 Compliant, which enables their syntactic and semantic interoperability. Throughout the participation on first open call, Terracom will open access to selected IoT resources of QR-Patrol in a controlled and secure way by extending and adapting platform-specific components and by building an interoperability module, integrating the symbIoTe Interworking Interface. By making QR-Patrol symbIoTe Level 1 compliant it offers a unique opportunity to get acquainted with new use cases and platforms. Also, being compatible with other platforms will result into gaining new skills and know-how that would be vital for the years to come because of the rapid acceptance of IoT technologies. 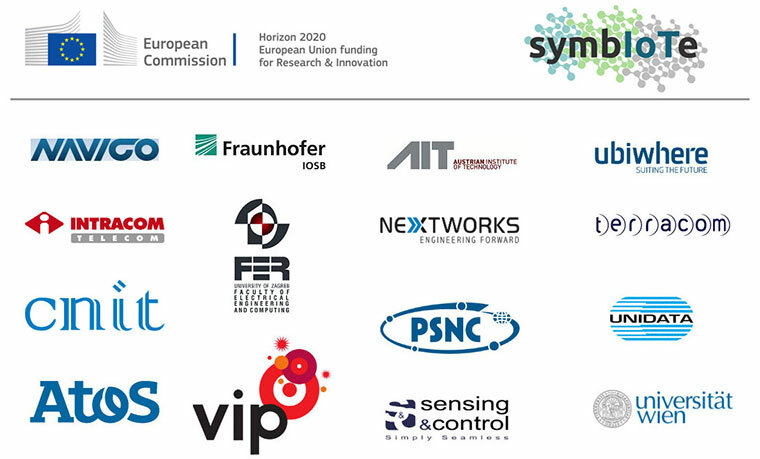 Due to the open approach of SymbIoTe, interaction with other innovative companies, participating in the consortium will trigger the generation of new ideas and possibilities that will foster innovation and disseminate knowledge resulting to a greater societal impact. Within the symbIoTe’s 2nd Open Call, QR-Patrol IoT platform was made L2 symbIoTe compatible (Level 2 of Compliance) and formed a federation with EduCampus’s platform in order to establish efficient and secure inner-platform collaboration and resource sharing. The project aims to increase levels of security to campus communities (students/teachers/researchers) allowing them to use their mobile devices in order to send SOS alerts in case of emergency (with their accurate location) or send incident reports when they want to report any malfunction or damage (i.e. room maintenance or not working printer). In co-operation with EduCampus’ platforms a pilot will be rolled out in order to validate and assess in real-life conditions how the interoperability is progressing. Conclusions made and feedback gained will help justify if the project is progressing on the right track or in case needed take the necessary amendments that will ensure a successful implementation. Participation in symbIoTe Open Call 2 has multiple benefits in various fields for both parties, QR-Patrol platform and the symbIoTe community. The new services, based on the interaction between different vertical IoT platforms, will add value and boost competitiveness of participants.